Te Wahipounamu comprises the least-disturbed tenth of New Zealand's land mass, with some 2 million hectares of temperate rainforest, 450 km of alpine communities, and a distinctive fauna. It contains the best modern representation of the ancient flora and fauna of Gondwanaland, including Podocarpus species, genera of beech, flightless kiwis, 'bush' moas and carnivorous Powelliphanta land snails. The overwhelming mountainous character of the area results from tectonic movement between the Pacific plate and the Indo-Australian plate over the last 5 million years. High local relief is the result of deep glacial excavation. Glaciers are an important feature of the nominated area, especially in the vicinity of Westland and Mount Cook national parks. There have also been substantial post-glacial changes, especially marked in South Westland and the Southern Alps. Erosion is rapid, especially west of the Main Divide. Intense gullying, serrated ridges, and major and minor rock falls are characteristic of this zone. However, glacial landforms are almost entirely intact in Fiordland. The vegetation is notable both in national and international terms for its diversity and essentially pristine condition. 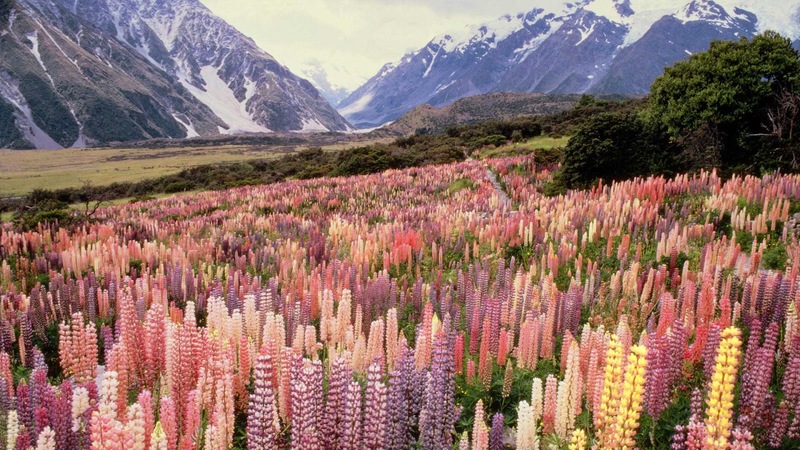 A floristically rich alpine vegetation of shrubs, tussocks and herbs extends around the summits of the mountains, from about 1,000 m to the permanent snowline. At warmer lower altitudes, the rainforest is dominated by dense stands of tall podocarps. The wetter, milder west is characterized by luxuriant rainforest and wetlands; the drier, more continental east has more open forest, shrublands and tussock grasslands. The most extensive and least modified natural freshwater wetlands in New Zealand are found in this area. Sizeable open wetlands, including high-fertility swamps and low-fertility peat bogs, are a particular feature of the south Westland coastal plain. The best-known vegetation chronosequences are those on glacial landforms where the ages of outwash, terrace and higher piedmont surfaces are known. The most impressive landform chronosequence is the flights of marine terraces in southern Fiordland. As the least-modified region on mainland New Zealand, the south-west is the core habitat for many indigenous animals, including a number of primitive taxa, and contains the largest and most significant populations of forest birds in the country, most of which are endemic to New Zealand. A few mountain valleys in Fiordland harbour the total wild population (about 170 birds) of the takahe, a large flightless rail believed extinct until 'rediscovered' in 1948 and which is recognized as endangered. Most of New Zealand's fur seals are found along the south-west coast. Virtually wiped out by sealing in the early 1800s, they currently number about 50,000. A Maori association with the area falls into three broad categories: mythological, traditional history and ethnological. All these values are contained within the tradition of the Ngai Tahu tribe, whose ancestral territories cover all except the extreme northern parts of South Island. 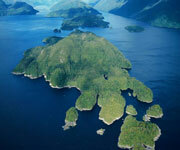 Browse All UNESCO World Heritage Sites in New Zealand. The original UNESCO inscription Here!! !